Background: This article presents the results of a study on quality of pharmacy services and perceived risk of pharmaceuticals. The results presented here are part of a multi-study evaluation of major changes in drug distribution in Iceland. Objectives: This sub-study addressed the question: what is the lay user perspective on pharmaceuticals and pharmacy services, including their perception of risk? Methods: To answer this question, seven focus group discussions were conducted with pharmacy customers in different locations in Iceland following new drug distribution legislation in 1996.Results: The lay perspective emphasizes a definite split between lay and expert views on the value and quality of pharmaceuticals, drug therapy and pharmacy services, as well as in their assessment of risk. Participants voiced spontaneous criticism of the roles of both physicians and pharmacists in drug therapy; and expressed concern about the quality and safety of pharmaceuticals. Some scope for shared values was noted between the legislative goals and the lay user perspective, despite the fact that the public was in no way involved in the drafting of the new legislation. 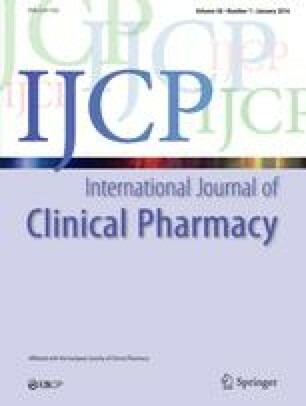 Conclusion: The results of this study raise questions about the nature and extent of the perceived gap between the medical and pharmacy professions on the one side and the lay public and health policy decision-makers on the other side in their views on the quality and safety of pharmaceuticals and pharmacy services.